The Industrial Development Corporation has a long track record of developing small, semi-rural areas into major towns. Now the Northern Cape is to benefit from a R3, 5-billion investment in the Kalagadi Manganese Project. The remote community of Hotazel, located in the arid Kalahari basin of the Northern Cape, will soon develop into a thriving regional economic hub, thanks to financing from the Industrial Development Corporation. The IDC will put R3.5-billion into the Kalagadi Manganese Project, a black-owned mining company in which it already owns a 10% stake. The R11-billion project is building an integrated operation including a mine capable of three million tons per annum, and a sinter plant which processes manganese ores by heating them to just below melting point. The project also includes a ferromanganese alloy smelter, located in the Coega Industrial Development zone on the Eastern Cape coast near Port Elizabeth. Ferromanganese is an essential component in the manufacture of steel. The IDC has a long track record of developing small, semi-rural areas into major towns, including Richards Bay, Saldanha Bay, Phalaborwa and Secunda. The IDC believes the manganese project will have significant developmental impact on the Northern Cape, one of South Africa’s poorest areas, says IDC head of Mining and Beneficiation, Abel Malinga. Behind the project are a group of black women entrepreneurs who in 2001 founded Kalahari Resources, which four years later was granted a prospecting licence to search for manganese in the Kalahari Basin. 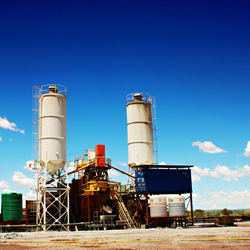 The Kalagadi Manganese Project expects the first sintered products to appear in July 2012, says project director Thulo Malumise. “The government mining inspector has signed off on the mine sinking equipment and the sinking operations are progressing well, Malumise says.